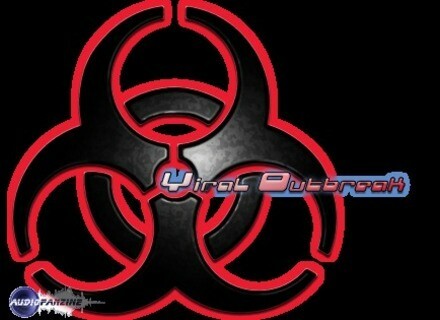 Viral Outbreak is a new soundware product based on the sounds of the Virus TI hardware synthesizer. Viral Outbreak is now available both as a VSTi plugin, and a Reason 4.0 Refill. No sampler required. Viral Outbreak is powered by a full copy of the WusikEngine V4 by Wusik.com. You can use this engine to load other Wusikstation libraries. Sampled at 32-bit 96khz. Downsampled to 24-bit 48khz. Comes loaded with around 950 presets by Pro-Sounds, Teksonik, Tim Conrardy, Jeremy Janzen, rsmus7 and others. A TI-inspired skin by Vera Kinter. 235 unique Reason Combinators included by a variety of Reason sound designers included Adam Fielding, Tom Pritchard, Nick Hutton, and Shaun Wallace. A variety of additional individual patches for Reason's modules. Programmed for Reason 4, and as such makes use of Thor and RPG-8. Viral Outbreak is available now, priced at $99.95 CAD delivered electronically. A free demo Plugin and Refill are also available as well as a variety of demo MP3 content. Big Fish Audio Jazz Drums Big Fish Audio is shipping Jazz Drums, which features over 1000 drum loops from 50 to 200bpm. VSL Updates VSL has released updates for the Vienna Instruments and Vienna Ensemble. DBU Announces Prometheus and Fortuity Dangerous Bear Underground (DBU) has announced the recent release of its 2008 product line of soundware libraries and sample-based VST instruments.